On times that we need to travel in large groups, it is often wiser that use coach or local minibus hire. Above all, doing so is more convenient for everyone involved, as all you have to do is sit back, relax, and enjoy the ride. Further coach hire UK is a cheaper approach than travelling with the rest of the group in different vehicles. You get to save on fuel and time, especially when there’s no more need for frequent stopovers. Hiring a minibus in the UK is an easy process. Requirements can vary by company and location, but usually, all you need are your personal information, including name and contact information, and the details as to where and when you will need the vehicle and what it will be used for. In some cases, you will need to pay upfront or a partial amount before the deal is closed. Before you jump right into choosing the minibus to rent, it pays to know first that you are dealing with the right company. Here are some tips to help you find a good coach hire UK company, and have a safe and smooth road trip. Check for credentials. The coach rental company has to have a license from South West Traffic Commissioner. This is to ensure that it has met the bureau’s standards to operate a vehicle rental company. You’d like a trip that’s worry-free, which is why it’s important to see if the company’s vehicles get their regular maintenance. That said, the company must comply with the standards set out by the Department of Transportation. The vehicles must also have a public liability and comprehensive insurance. Check if the company’s drivers have acquired all the necessary requirements to operate coaches. They all must have a full PCV license and approved by the CRB. 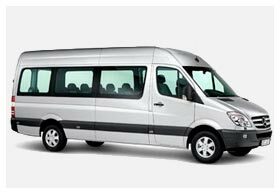 The above are the most important considerations when on the lookout for your coach or local minibus hire company. In most cases, you must also consider the price and the make and model of the vehicles. For an excellent service there is no one better!